"Get that big, beautiful plant in Ohio open now," President Trump tweeted. President Donald Trump targeted both General Motors and an Ohio union official this weekend over an assembly plant that the automaker closed earlier this month. 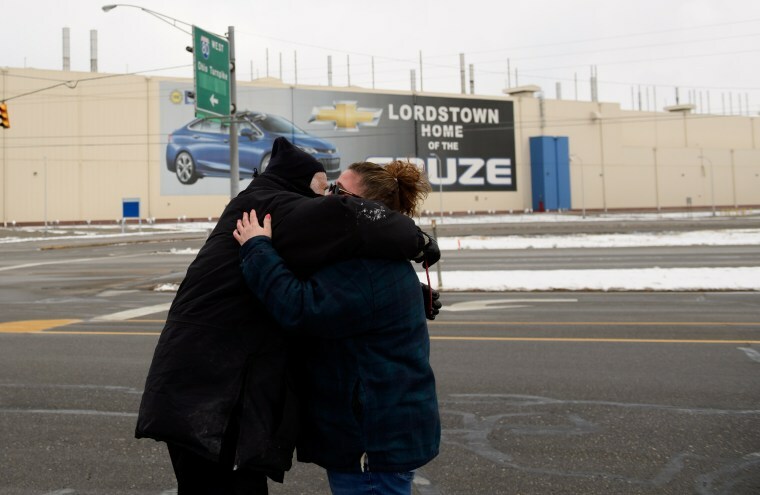 His tweets amplified the public pressure on GM to restart operations at the Lordstown, Ohio facility. Trump has frequently used his platform to push companies to take his preferred actions. Earlier this year, he threatened to cut the company’s subsidies after it announced plans to slash production at several U.S. plants. On Sunday, Trump said he spoke to GM Chief Executive Officer Mary Barra about the facility and “asked her to sell it or do something quickly.” He claimed she “blamed” the closure on the United Auto Workers union. “I don’t care, I just want it open!” he wrote. Earlier, the president tweeted that “Democrat” UAW Local 1112 President David Green “ought to get his act together and produce.” The union represents workers at the Lordstown plant. The facility’s closure is resulting in the loss of 1,300 jobs, though about 417 of those positions will go to other plants, GM previously said. Trump wrote that GM “let our Country down” by shutting down the plant, where it made the Chevy Cruze. He claimed that “other much better car companies are coming into the U.S. in droves.” It was not immediately clear which companies he was referring to, or if they were American or international automakers. “I want action on Lordstown fast. Stop complaining and get the job done!” he wrote on Sunday. Green has written two letters to Trump asking him to save the plant and its jobs, local TV stations WKBN reported in February. In a February letter shared by the news outlet, Green implored Trump to make a case for the facility. Green noted that the president had not responded to a first letter he sent in July 2018. “While this may not seem that important to you, it will have a devastating impact on many families, businesses and communities, especially here in the Mahoning Valley, a place that I call home,” the union official wrote to the president. Neither Green nor GM immediately responded to CNBC’s requests to comment on Trump’s tweet. Trump won the White House partly on promises to boost manufacturing jobs and U.S. auto production. He has set out to renegotiate various free trade deals, in part to encourage automakers to produce at U.S. facilities. While Trump has previously criticized GM, Sunday appeared to be the first time that he targeted Green, a local union official, by name. “Instead of attacking workers, it’s past time you stood up to GM and joined the fight,” he said. Brown has tried to pass legislation that aims to make production in the U.S. more appealing to automakers. He urged Trump to support the legislation, called the American Cars, American Jobs Act, if he wants to boost auto workers. The legislation would give consumers a $3,500 discount on American-made cars and revoke a provision that Brown says encourages automakers to send jobs overseas.